In my opinion, effective classroom management is supported by three primary pillars: clear rituals and routines, adequate student motivation, and effective classroom organization. 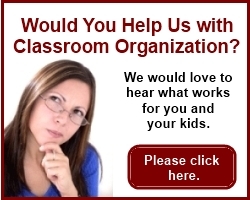 The topic of this page is classroom organization. Please also see classroom routines and motivating students. In my opinion, kids just seem to do better with structured activities. 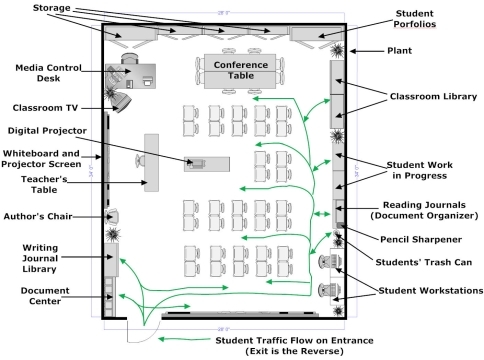 So too, they function better in a structured environment--in this case, the classroom. If they know exactly where everything is located and where items that pertain to them are kept, students are able to get what is required of them in a timely fashion without all of the chaos and drama. This clearly promotes effective classroom management. At Twin Lakes, I was fortunate enough to have lots of storage areas. With the addition of a few simple tables and bookcases, I was able to extend that storage area. The examples that follow worked extremely well for me because of what I was required to teach and how I chose to approach it. Your situation is most assuredly different than mine, but please take from this anything that you feel is important. 1. What do students have to have on each individual day of the school week in my classroom? 2. Where can I place these items to reduce the amount of time traveling around my classroom? In addition to having a place for everything, the TIMES in which students could access those items and the WAY they accessed those items were all part of my classroom rituals and routines. These rituals and routines were determined and established during the first two weeks of the school year. For more details, please see classroom routines. Once I had everything arranged in my classroom, my next step was to place signs and posters everywhere. I had signs for the location of the pencil sharpener, signs for writing journals, signs for reading journals, signs for the instructional day, and signs for the classroom library. I even had signs indicating the direction of student movement--some pointing right, some pointing left, some pointing straight ahead. Although I had firmly established the location of key items in my classroom when I drilled the students on my rituals and routines, I created the classroom signs as sort of an insurance policy. Now, students could NOT possibly NOT know where things were located in my classroom. In my entire career as a teacher, this is unquestionably the best purchase slightly in excess of $100 that I ever made (the only possible exception being an industrial grade pencil sharpener). 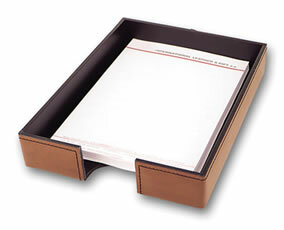 Your local office supply store carries document organizers (sometimes called "literature sorters") similar to the one shown here. 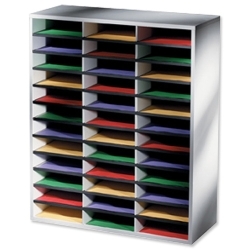 The one I purchased had 36 storage slots arranged in 12 rows of three compartments each. In my case, I used the document organizer to house individual folders for all of my students. These folders contained the work that was ongoing in class. I used a label maker to number all of the slots to correspond with my seating chart numbers. Because I had five classes, each numbered slot contained as many as five folders. To prevent students from standing there sorting through folders to find theirs, I color-coded the folders. Everyone in my first period class had blue folders. The only blue folder in slot number eight belonged to my first period student, Andrew Garcia. As a result, Andrew was able to select his folder quickly and then proceed to his seat. Time for horseplay was radically minimized. Boxes of color file folders are slightly more expensive than manila folders, but they are well worth it. Other than blue, I normally used green, red, yellow, and purple. The color doesn't matter so much as long as each member of the class has the same color. This organizational approach ensures that students will not have to sort through a big stack of manila file folders to locate their own. 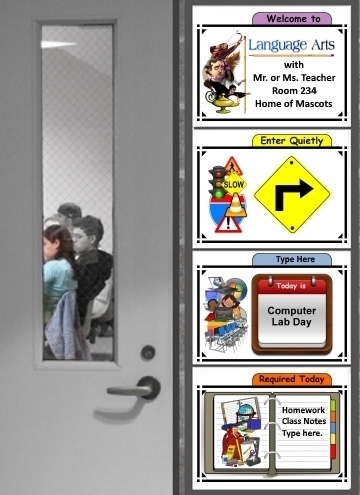 It also guarantees that each student will have what he or she needs for your class on that particular day. In an effort to avoid students chasing me around the room to give me various items of paperwork, I decided to create a Documents Center. I designated an area that was immediately inside the classroom door. There, I placed a short bookshelf for the purpose of holding a group of file trays on the top shelf. Behind each tray, I attached a small poster to the wall indicating its purpose: Mr. Manis's Inbox (for placing anything students had for me to read and/or sign), Today's Assignment, Homework Logs, and Book Summary Forms. On the second shelf, I placed two additional file trays--one for blank homework logs and the other for blank book summary forms. I then stocked them with the appropriate forms. Again, I posted small signs to indicate the purpose of each tray. I placed large die-cut letters on the wall behind this bookcase indicating that it was the "Document Center", and I informed my students about the purpose of each tray and when they were to access them. Then, I enjoyed the luxury of reduced paper-chasing. When students arrived in my classroom, they deposited whatever paperwork they had to give me directly to the designated file tray. Additionally, as they were exiting my classroom they were able to deposit paperwork for me and to access paperwork intended for them without having to ask for it. They were no longer chasing me to give me whatever paperwork they had, and I wasn't chasing them to give them the forms that they needed. You undoubtedly have different paperwork that relates to your particular class. But, I can definitely say that this contributes enormously to effective classroom management. With all of this in place, literally the only thing that students needed to bring to my classroom was paper and pencil/or pen. If they managed to forget those as well, I had provisions to provide. Of course, there is also their homework assignments. I haven't figured out a way to get them to remember to bring them. Giving extra points for remembering to bring their homework is effective to some degree, but for the most part, they tend to be negligent. A highly organized classroom will most assuredly contribute to effective classroom management. If you would like more details about this topic, please see classroom management. I am convinced that effective classroom management is supported by having clear rituals and routines, providing adequate student motivation, and organizing the classroom effectively. Before I discovered that reality, I was struggling every day of the year.